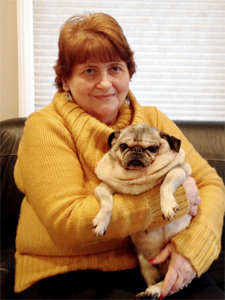 Kathy Grasso has been the Hospital Manager at Yalesville Veterinary Hospital since 1993. 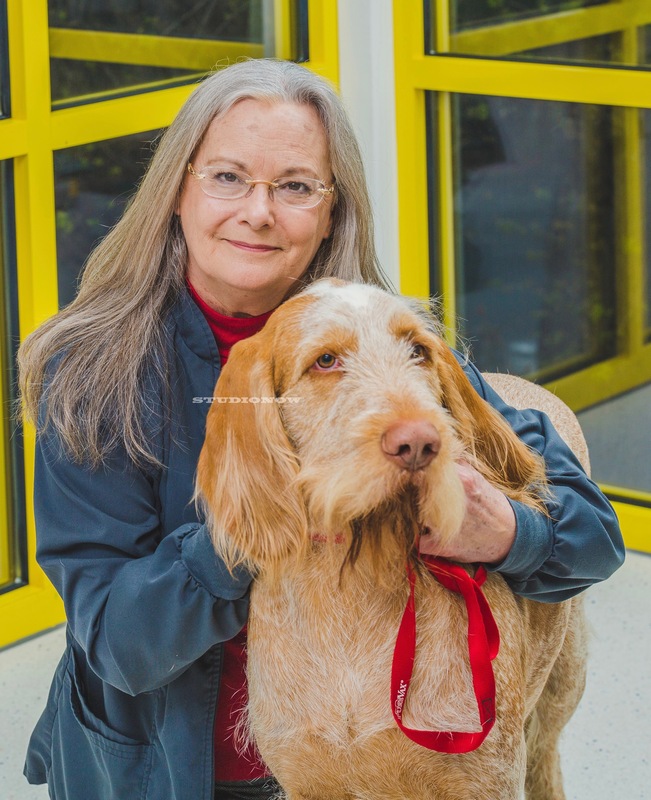 She is an experienced veterinary technician, and has enjoyed working in the veterinary field for 37 years. 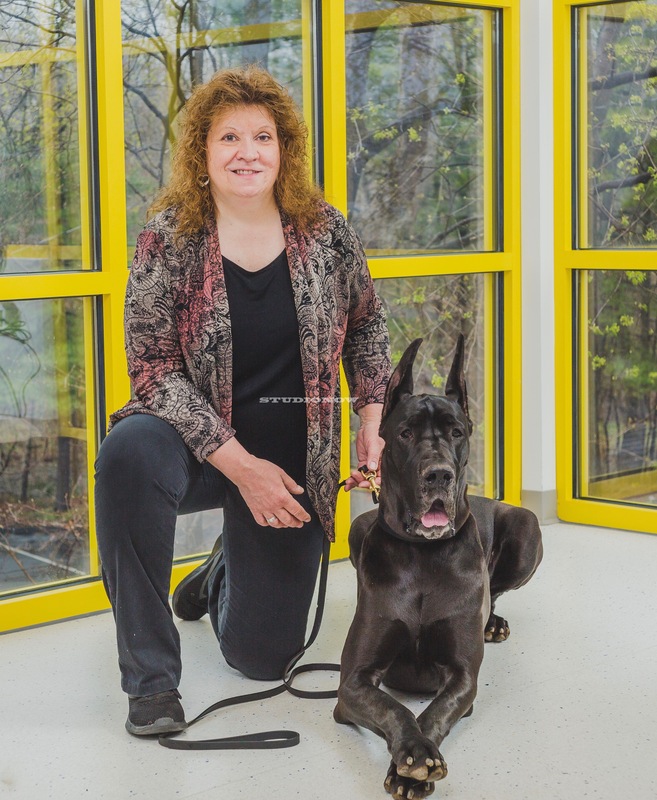 Kathy and her husband breed and show Great Danes in Conformation and Agility. Three of her Great Danes, Harleigh, Chloe and Tori, are also Certified Therapy dogs, visiting residents of the Masonic Home and Hospice every week. Along with her dog activities Kathy is also a state and federally licensed wildlife rehabilitator specializing in working with birds of prey. Kathy resides in Higganum with her husband, 6 Great Danes, 2 cats, 4 birds, 4 miniature horses, and chickens. Her 2 granddaughters and grandson are her pride and joy and there is nothing in life that she loves more than spending time with them. Linda Barnes has been with Yalesville Veterinary Hospital since 1995. She started as a Receptionist and is now our accounting/financial representative..
Linda is involved in animal rescue, especially seniors and ‘handicapped’ animals, having opened her heart and home to many in need. She gives them a second chance to live out their days in a loving home. Linda lives at home with her two children. Michelle has been with Yalesville since 2009. She came from the human healthcare field and has a degree in healthcare administration. Currently Michelle holds the position of pharmacy/inventory manager and front desk/client services supervisor. Michelle has had a lifelong love of animals and has shown dogs competitively in confirmation. She has had winning dogs in several breeds including nationally ranked Boxers and Giant Schnauzers. Michelle is especially proud of her Best In Show winning Giant Schnauzer, Casey, who also had the privilege of showing at Madison Square Garden where she won an Award of Merit two years in a row. Rosanne Brennan has been in the Veterinary field since 1999. 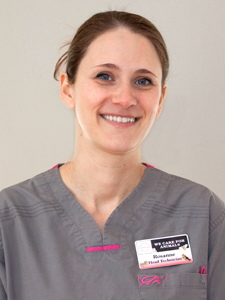 She started out as a veterinary technician assistant at Meriden and Wallingford Veterinary Associates, with Dr. Hallock. She has been with us here at Yalesville Veterinary Hospital since 2001 and became the Lead Veterinary Technician in 2005. In 2014, she and Dr. Hallock joined forces once again when he merged his clinic with YVH. Rosanne acquired her Veterinary Technician degree through PennFoster College, and made the Dean’s list twice. Rosanne is also a licensed wildlife rehabilitator for the state of Connecticut. She is married, has five cats, a red eared slider turtle, fish, and four iguanas.